OK, so you just read the title of this article. You might be thinking, "What the hell is this guy talking about? Anti-hunters aren't winning." By some figures, you'd be right. According to a 2011 U.S. Fish and Wildlife Study, the number of Americans purchasing hunting licenses is trending upward for the first time in 25 years, as 13.7 million hunters drove $33 billion in revenue. The sale of guns and ammunition for hunting continues to roll along, and the economic engine fueled by those dollars funds over 600,000 jobs annually. 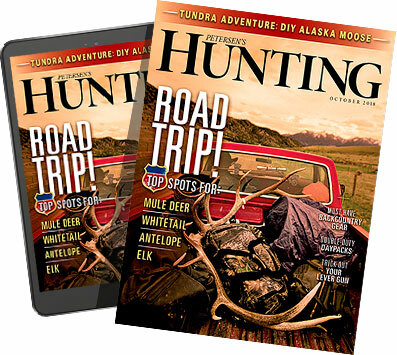 Not to mention there's more hunting-oriented content in the media marketplace than ever before — a show about a crew of redneck hunters beat out American Idol in cable TV's ratings battle. Behind groups like the Humane Society of the United States (HSUS) Center for Biological Diversity, People for the Ethical Treatment of Animals (PETA) and In Defense of Animals (IDA), the anti-hunting movement is strong&apos;¦real strong. PETA's efforts to coerce, threaten and downright harass hunters is at an all-time high, and their sadistic misinformation campaigns continue to persuade independents that ethical hunting is the enemy. We need to fight back harder and with a smarter tone. Resting on our laurels is not an option, and neither is ignoring the ways antis are winning. Here are five examples of anti-hunting successes that can't be ignored and how we can fight back.